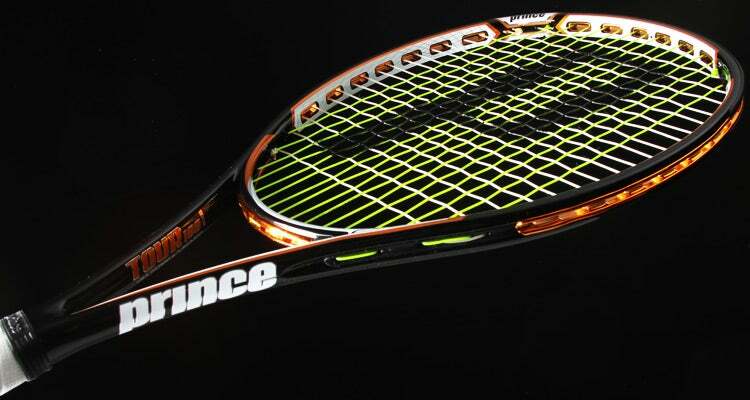 Of the modern racquets in the past five years, the Prince EXO3 Tour has become the standard of a “player’s racquet” (level 3.5 or above) that is very easy on the arm. The flex rating of this Prince is an astounding 52 stiffness which means the EXO3 Tour is extremely flexible. Thanks to the thermoplastic resin reducing string vibration and amping up the comfort level, the Tour model absorbs much of the shock and vibration from shots even if they are mishit. While this technology does create a flexible feel that takes getting used to, it does not take away from the professional level of the racquet. The EXO3 technology gives huge access to spin and the middle tier strung weight of 11.6 ounces / 328.85 grams creates fast racquet head speed to generate power. The lighter weight of the racquet also gives great control at the net and volleys are a pleasure. This is a control racquet and some may find power a tad less compared to very stiff racquets like the Babolat Pure Drive but the trade off is well worth the arm friendliness and additional control. Now playing with a full bed of Natural Gut string there is no softer combination of racquet and string for your tennis elbow. This pairing allows your arm to “rest” even while playing and working on your form to hit the ball early. I am not a doctor and if you can’t hold something in your hand because your tendinitis is so bad, you need to stop playing and rest. If you have a bit of muscle strain switch to this racquet and natural gut. I also highly recommend this video to learn to hit earlier and with rotation to put more pressure on your hips and less on your arm.